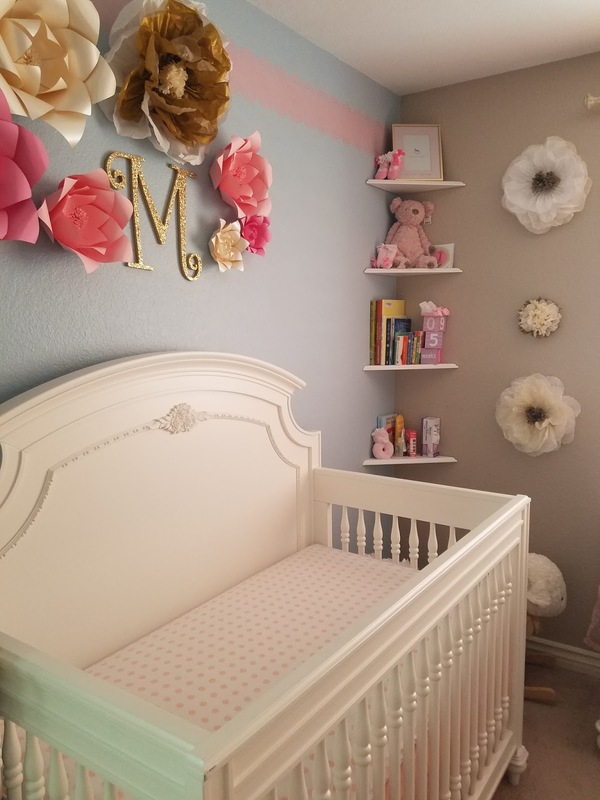 Preparing the nursery for our little baby M was such a surreal, beautiful, and healing part of the whole adoption process. 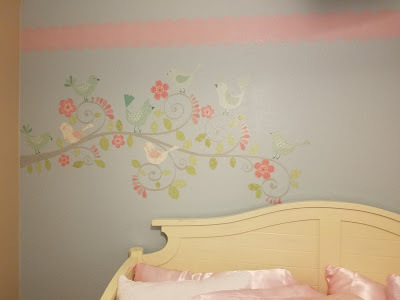 Back when we bought out condo, almost 4 years ago now, we had always hoped that room would become a nursery. 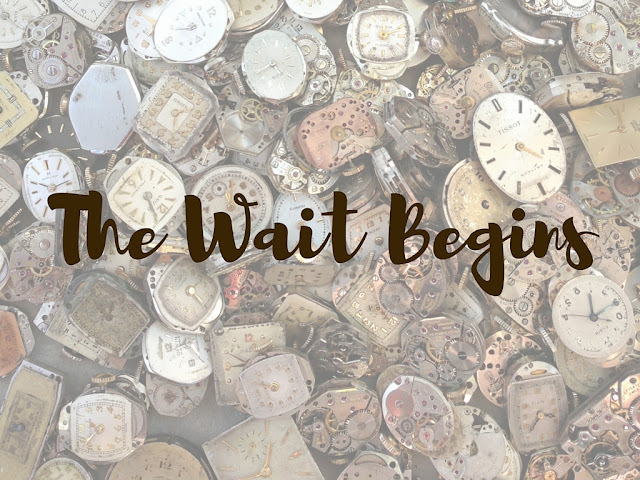 At that point we had already been married 2 years, and so knew we were experiencing infertility, but had hope that it would be easily overcome. After moving in, the room had several iterations. A couple rounds as just a storage room, a guest room, and we tried to turn it into a home office too. I never really wanted to go in the room, work on it much, or take pictures of it, it was too hard knowing what it should be and wasn't. Several of the times we were in there, trying to clean things up or cut down the clutter I would end up crying, wondering if the room would ever end up being used for what we had always hoped it would be. And then we got the call that we were matched! Our facilitator asked if we had anything ready and I said no, just a spare room! It had again turned into a storage room, with lots of odds and ends, so the weekend after the call we got to decluttering and clearing out. And this time it was a happy process! Every day after the match I would find myself wandering into the room, thinking about how to decorate, but also wondering and dreaming about the little girl that could be our daughter. It was so surreal that so much hope had now flooded our lives! My Mom and I were supposed to go shopping for bedroom furniture, but I couldn't get away from work when she wanted to go, so she sent me pictures and we picked it out via text! It was like a pretty luxurious personal shopping experience, haha. One downside though was we forgot to measure in advance, and the furniture was a little bit for our space, but we made it work! We left our guest twin bed in too, just in case we or she would need it in the future. The next problem was the colors. You might notice that the room was brown and blue. And well, those just aren't very girly! 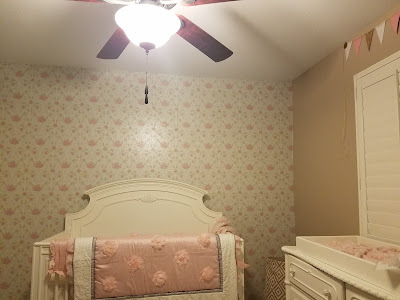 I was scared to pain the room pink, in case things changed or fell through, so I decided on some temporary wall paper. I spent days finding the right one, and hours putting it up on one wall. But the next morning it had all fallen down! I guess it was a little too temporary! So on to plan b. I decided I'd just go with lots of pink accents instead. Then I got big flowers, and her initial! After the baby showers, the room started to fill up with more baby stuff, and before we left there was quite a bit, although the room still wasn't quite complete. 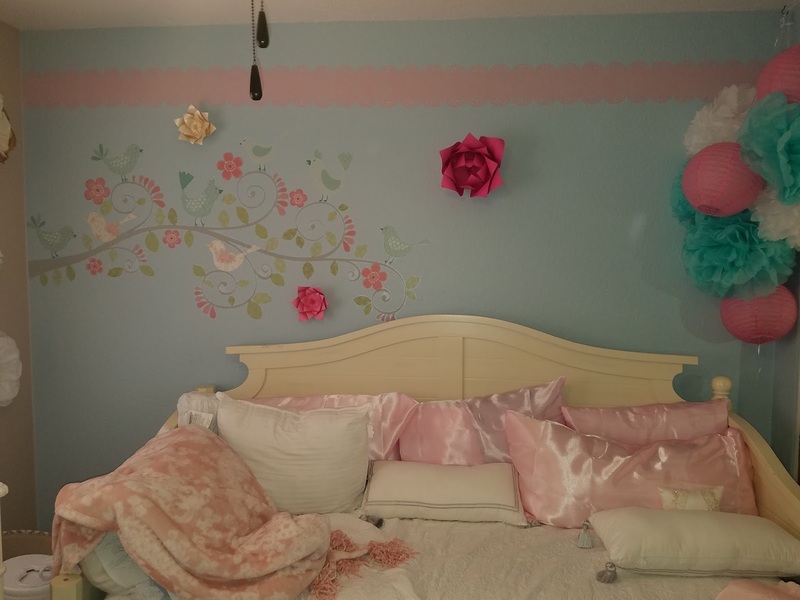 We actually didn't finish the room until after we came back from Wisconsin with her. We put the finishing touches on when she was around a month old, oops! But here it is, all finally done! It isn't what I originally planned, and took longer than I had thought, but it ended up more beautiful than I had imagined! So, where we left off, it was March 10th, we were settled into our hospital room, prepared for a long wait. At around 6:00 p.m., some nurses came in, and asked if we had our adoption paperwork so we could see her. "See her? She's been born?!?" we exclaimed. We didn't have papers because someone at the hospital was supposed to have everything, but I guess she wasn't available. So we scrambled through our phones to find emails with paperwork, and I handed my phone over to the nurse to take to her supervisor to verify that was sufficient. We scrambled through the Hubs' phone to find our contacts to call the hospital and work on it too! After what seemed like an eternity (but was probably only about 15 minutes) the nurses came back, said everything was good, and took us to the nursery. We had to wait again at the front of the nursery, and looked around at all the babies. The Hubs look over at one and said "I wonder if that's her." I told him there were so many, how could we know? But we found ourselves being led over to that very baby! And there she was! Beautiful, perfect, bright eyes an alert, and sucking on her hand like it was going out of style. They were doing the preliminary treatments and testing, but we got to be there right along side her, holding her hand and marveling at her. I could see the Hubs' face change immediately, so enamored by this beautiful little baby we had just met. He was definitely wrapped around her finger from the first second :). We were told that the birth mother was doing well, and still wanted the baby to be taken care of by us. We were asked if we had a name, and we gave it. It's a bit of a unique spelling so I'm not sure if I'll use it here. But her first and middle names are both honoring family, from aunts back to her great-great-grandmothers :). After she was done in the nursery, she was brought over to our room, and stayed in there with us until we left! 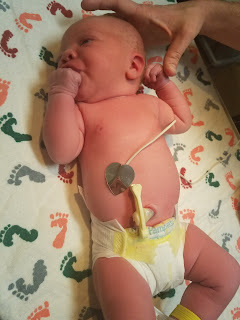 We got to dress her and feed her and change her, and the nurses were on hand to kindly and patiently teach us all the basics (multiple times). She was so sweet and calm, she barely cried at at all! She was so alert when she was awake, and even holding her head up for little bits at a time! We took turns holding her throughout the night, and our entire stay. She was only in the bassinet for when the nurses had to check up on her. We just couldn't put the sweet little thing down! The next day, my Mom came to visit, and meet her little grand daughter! The day after we were discharged! We dressed our little girl up and took her back to our hotel! 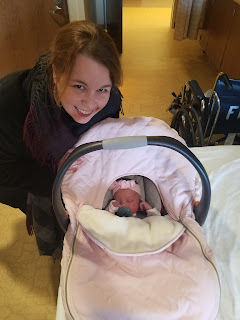 I couldn't believe we were leaving the hospital with this sweetheart! It was good timing, it started to snow right after we got back, and for the next couple days! We settled in at the hotel, life was mostly just a blur of feeding, changing, and trying to take naps. My mom would take care of her for a few hours in the morning so we could rest, which was great! But my mom had to go home after a few days. A few days after she left, the Hubs's dad came to visit! It was great that she was loved on by grand parents from both sides early on! He stayed for a few days, and while he was there we got out more, including back to St. Josephats to give thanks! A few days after the Hubs's Dad left we were finally cleared to go home! So we booked a flight and headed back, exactly 2 weeks after we arrived. It's crazy to think how much things changed between those two flights. It was great to be home and settle in with out bundle of joy! Friends and family were excited to meet her too! 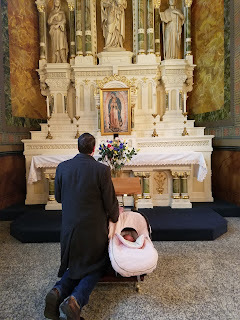 We settled into our routine and waited for the hearing on the termination of parental rights (where the birth parents officially give up their rights), which was set for April 14th, Good Friday. 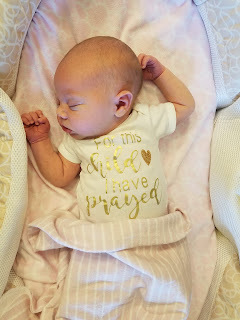 I went to a nearby church for morning prayer with sweet girl along with me, and on my way out got a call from the Hubs that everything went well! Now we wait for the adoption to be finalized to make it all official, but so far everything is going well! We are just so thankful for and in awe of the beautiful blessing she is! 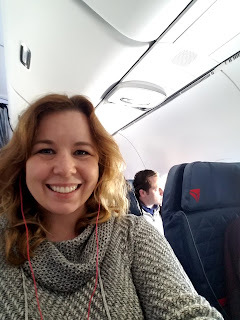 To pick up where I left off, on March 8, we flew to Wisconsin. "We" being me, the Hubs, and my Mom. She really wanted to come and I figured in a normal birth situation I would have my Mom to help me, and if things fell through I would want her there even more, so the three of us travelled together :). It all went pretty well! We got into Wisconsin late at night, so we just got our rental car (which turned out to be the same make and model as my car, but a newer year, so luxurious :) ) and headed to our hotel. We stayed at a Residence Inn that was brand new, and it was great! We had a nice bathroom, bed, living room, and kitchen! There was free breakfast every day too! My mom got the room right next to ours, perfect! On March 9th, we decided to try to get a little tourism in. My Mom went to mass in the morning, but me and the Hubs took our last opportunity to sleep in. Then we joined up, stocked up on groceries and what baby essentials we hadn't brought with us, and then went on a drive through Milwaukee, which is beautiful! I have to say, I love driving in the midwest too, traffic was so great, nothing like the crazy aggressive drivers in California! We were on our way to visit a church when we got a call from our California agency, that casually mentioned a complication we weren't aware of. We called the Wisconsin lawyer to get more information, and it sounded like things would be ok, just require a little more legal work that we had expected. Of course we were a little nervous, so that was the perfect time for some prayer! 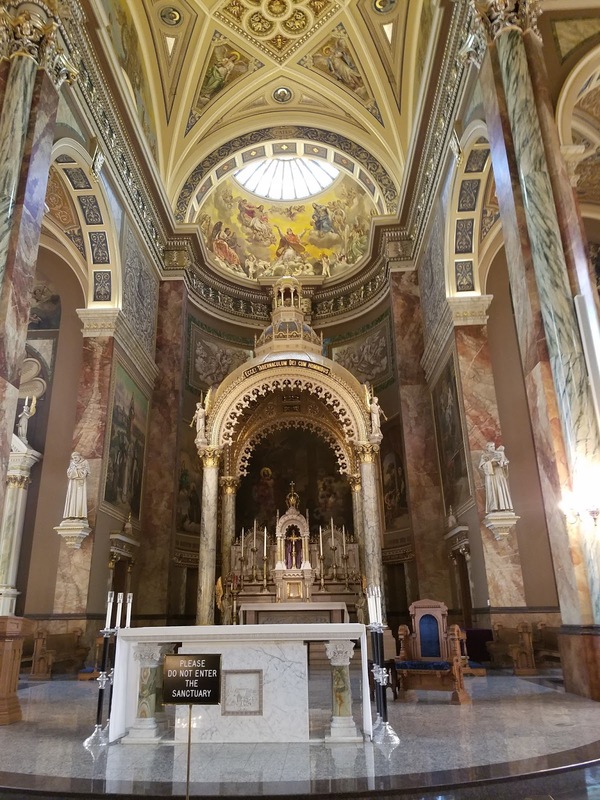 We walked in the Basilica of St. Josephat, and I was immediately in awe of how beautiful it was! Really, I don't think I've seen a church of that beauty outside of Rome! 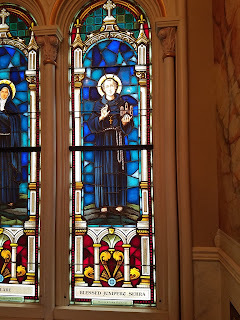 I started noticing beautiful stained glass images, one of the first being of St. Junipero Serra! 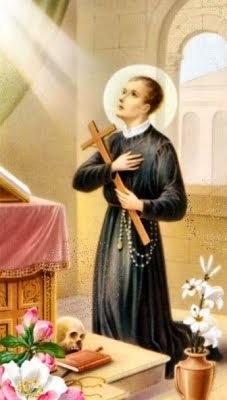 As I walked along I saw so many faces of the saints that we had asked for help along this long journey to grow our family! Then I saw an image of our Lady of Guadalupe, and was immediately drawn over. 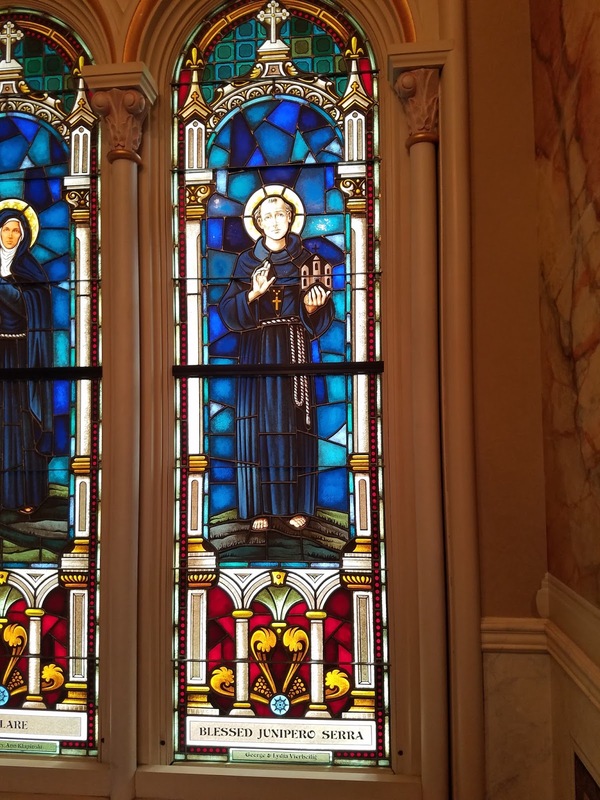 In front of her was a beautiful bouquet of multicolored roses, and a table nearby explained the meaning of each Rose, with corresponding prayers, put out by the Elizabeth Ministry. 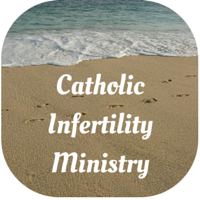 There were prayers for infertility, hoping to adopt, and in thanksgiving for adoption! 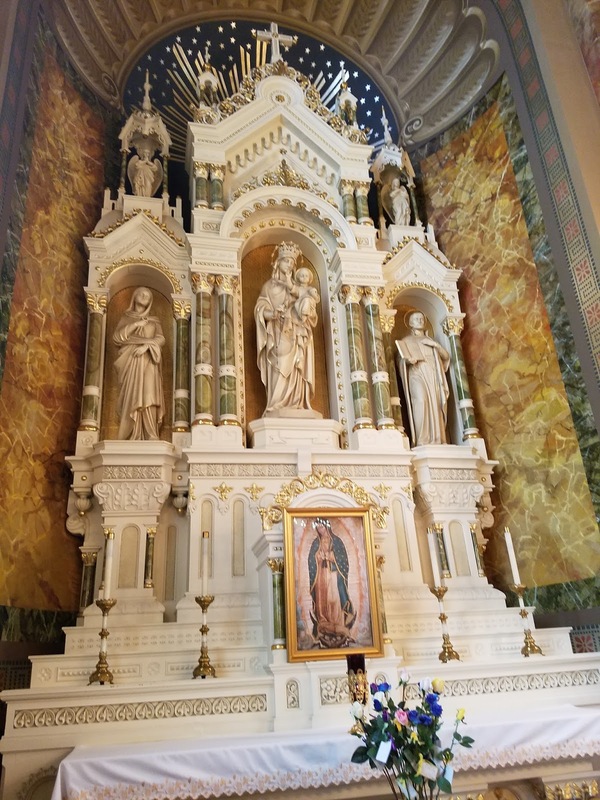 I was so overwhelmed, it seemed like all the saints and our lady were all there in one place, and letting us know that everything would be ok. How could it not be with everyone we had rooting for us! That was such a beautiful experience! After that, we went to a nice dinner and went back to the hotel to get some good sleep while we still could! The next day March 10th, was the induction day. Every birth is different, so we didn't know what to expect, or when the baby would be born, but we were told we would get a call when it was our time to go to the hospital. So in the morning we went to Mass with my mom, who had already made friends the day before :). They came up to us to say hi, and asked the Hubs and I to bring up the gifts! It was a beautiful mass! 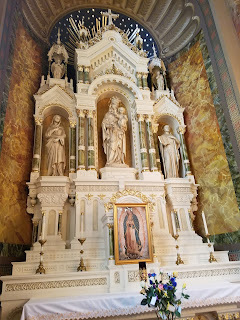 A we walked around the church (there are so many beautiful churches in Milwaukee!) I got a call from the social worker saying we could head over to the hospital to wait, although we probably had some time. We went back to the hotel, grabbed some breakfast, packed our bags, and headed to the hospital. 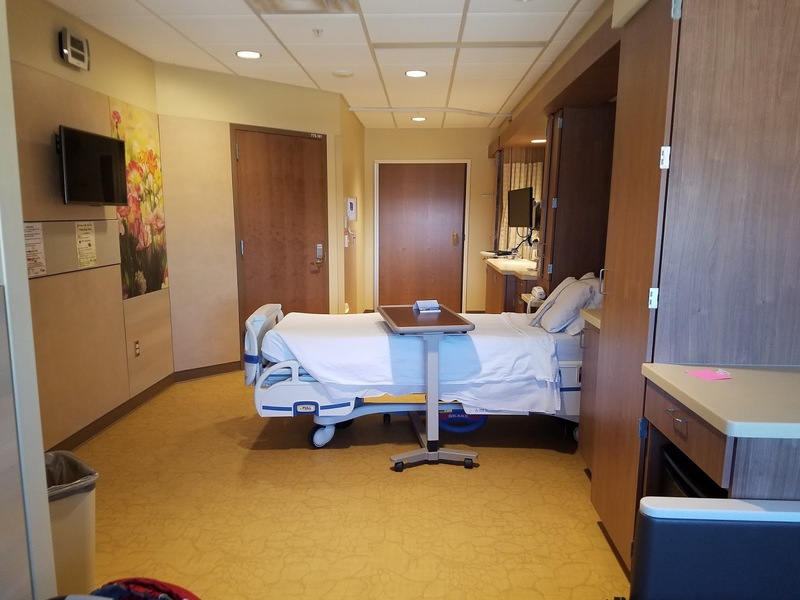 Around 9 a.m., my Mom dropped us off, and knew it might be a while before the birth, and a while after that before she could visit. As the adoption would be closed, we would not meet the birth mother, but she wished for us to take care of the baby after birth. So we were given our own room to wait in (and stay in after the baby was born) and were told a nurse would call us with updates. All of the staff and nurses were very friendly and helpful! Our room was great too! There was a bed, a comfy couch, a recliner, a bathroom, and plenty of space! I think I'll start at the beginning of the year. For the New Years holiday, the Hubs and I went on a roadtrip to northern California. It's become a little tradition of ours, so there years in a row now we've roadtripped to northern California, and visited the Carmel mission on the way, which is where St. Junipero Serra is buried. It's such a beautiful place, we love it there! Now for the last... good while, maybe months or year, I've been in such a spiritually dry place. 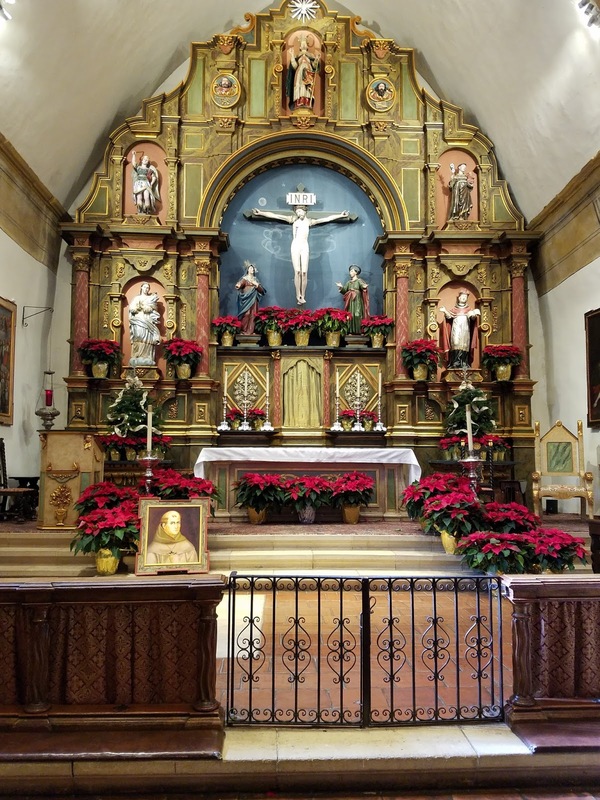 But as we were touring the mission, and then in Mass on New Years Eve (at another church), I felt God's presence and so much love. And I started to have hope that this would be a good year, and that this might just be the year our family would grow! Fast forward to February 1st. As I left home to head to work, I spotted two roses on my favorite rose bush. Now this is California, so it's not like it was blooming in the snow, but it still made me smile and think that God was at work in something. As I drove into work as I get a call from our facilitator. She informed me that we've been picked by a birth mother due March 10th, and tears streamed down my face as she told me all the details that sound too good to be true. She would email me more information as we decided whether we want to move forward (of course!). I call the Hubs, who answers "what's wrong? ", we never call each other that early unless there's a problem haha. Oh the excitement in his voice as I told him! And of course he wanted to move forward too! So we look over the paper work, and call the facilitator to officially say yes. There were so many little coincidences we noticed even in the paperwork that seemed to show God was in the details of this, but we tried to stay as guarded as we could, just in case. That night we told my parents, and my mom had started planning a baby shower by the next morning! We then told our friends and coworkers, while of course being cautious that things could change and nothing was certain, but everyone was excited and supportive. 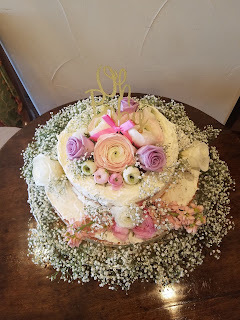 In the end, there were three baby showers thrown for us! We started cleaning out the spare room that was always supposed to be the nursery, although I had doubted its day would ever come. 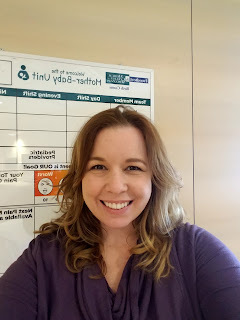 My friends who had recently had babies took me around the baby stores and helped me gather or borrow all the necessities in case we got the call early. Baby stuff started to pile up and take over our house! We were reluctant at first to unpack boxes and wash clothes, but in the end we decided we'd rather plan for the best instead of the worst, and be ready for the baby we could bring home! We started reading books on taking care of babies, and took a class too! Life was a blur of phone calls and preparations and so much excitement and worry. 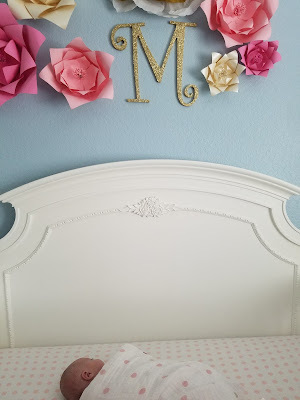 The birth mother wanted a pretty closed adoption, so we weren't in contact with her, which was a little nerve wracking, and a little sad that we couldn't get to know her, but of course we wanted to respect her wishes. The people that were in contact with her said she was strong in her plan, and she sounded like such an amazing woman who really just wanted to provide the best life for her child. I'm still in awe of the trust placed in us. Still, we were on edge, not knowing what would happen, and having no control. I'm a little bit of a control freak, so this was a learning experience for sure! All along the way though, God sent us so much comfort, reassurance, and peace. So many little things reminded us that God would take care of us, no matter what happened. The Hubs was pretty calm too, he has always been my rock in everything, and this was no different! I checked in weekly with the social worker who was coordinating with the birth mother. She was so sweet, and was very positive about everything. 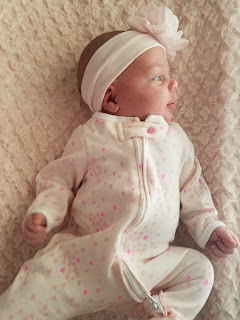 She sent along updates, and even ultrasounds that the birth mother wanted us to have. Oh it was so surreal to see the little baby that could be joining our family! We hugged and stared in silence at the little girl that could be our daughter! An induction date was scheduled, and we started to decided how we would travel and stay there. Although we initially wanted to drive, the weather in between didn't look so conducive, so we decided to fly. We finally booked tickets, a hotel room, and a car rental the week before. Then, sooner than we knew it, it was time to go! We packed our bags, including one for the baby, and headed to Wisconsin! Sorry for the delay, life has been a bit of a whirlwind, but I didn't want to leave everyone in suspense. Our daughter was born on March 10, 2017! She is wonderful and perfect, and we are loving getting to know her! It was crazy getting ready with so little time to prepare, but our friends and family really helped us out and we were prepared as we could be! 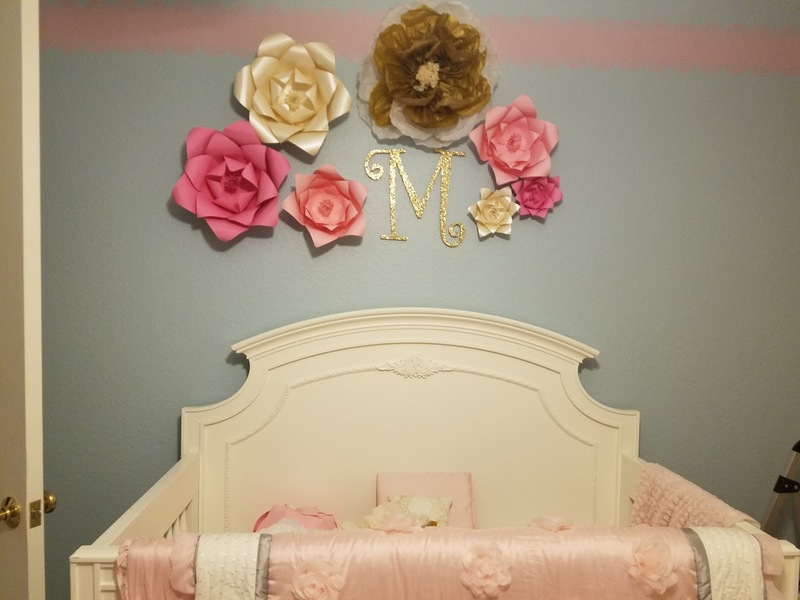 One of these days I'll put the finishing touches on our nursery and get some pictures up lol. Life with a baby is so different, and a little exhausting, but in such a good way! I definitely want to tell the adoption story in more detail later, but everything went pretty smoothly! There were a few little bumps in the road, but nothing too material, and God gave us peace and reassurances along the way. There are a few more legal steps to go in the the process, but we're hopeful that things will go well. The biggest is a hearing on April 14, please keep us in your prayers! Hi there! I know, it's been quite a while. Over the last, oh, half a year or so, there's been both a lot and not much going on. On the adoption front, there wasn't much going on. While finishing the home study and having our profile go live were exciting, it was easy to settle back into the routine of things. Then things got crazy in August when we went on vacation (for our 5th anniversary! ), had a bunch of big house repairs all at once, and I got a new job. It was a little hectic, to say the least. On the adoption front, not much was going on. In the fall there were a couple expectant mothers that inquired about us, but nothing came of that. At the same time, we were told wait times were going up. So we basically settled into the idea that we would be in for a long wait. While on the one hand it was frustrating, on the other, at least it would give us more time to prepare. On the first of this month, on my way into work, I got a call that changed everything pretty quickly! 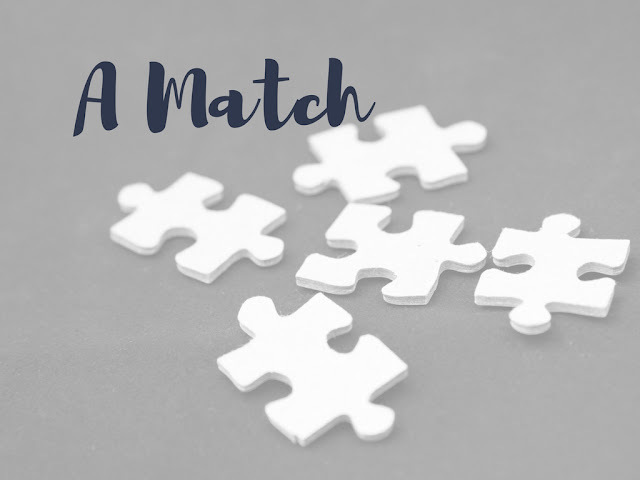 We were matched with an expectant mother, and due in early March! All of the sudden, we had to start preparing, and quickly! It's a strange position to be in, excited for a baby that isn't yours, and that could possibly never be. Nothing will be certain for a while after the baby is born even. But we've come to the conclusion that we could either prepare for the best or prepare for the worst, and we might as well prepare for the best. 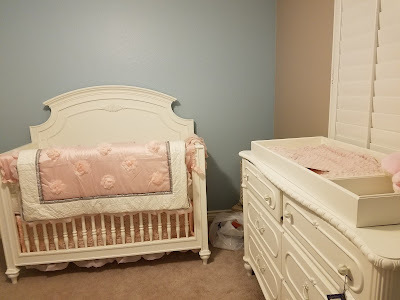 So we're preparing away, and putting a nursery together, and hoping we won't have to pack it all away later, but prepared for the possibility that we might. Its surreal, exhilarating, and terrifying, all at once! Pleas keep us, the expectant mother, and baby in your prayers! So, funny story. Remember when I wrote a post over a month ago and said we were almost home study approve and our profile was almost done? Yeah, those last couple steps took a little longer and a lot more work than anticipated. With the home study, we actual got a draft of the report sooner than anticipated, after about 1 week instead of 2-3 weeks. There were a few minor corrections that needed to be made to the draft, but other than that it was great. Things were just about wrapped up, when we were asked when our last reference would be sending in their recommendation. Except he had told us he had sent it in weeks ago. I guess it got lost somewhere along the way, and there was no option but for the poor guy to fill out the form again. Of course we discovered this right before he went on vacation, then we went on a business trip/vacation, and then he had some family issues come up, so we had to wait another 3 weeks after all. Things did finally worked out, and he did send in another recommendation. We were finally officially approved last week, and got the final report yesterday, just about two an a half months after we started. Finishing our profile was quite an undertaking too. It turns out that submitting the text and pictures wasn't one of the last steps, but just the beginning. We sent the text back and forth with the editor a million (or at least five) times. Then the words got put together with the pictures for the first proof of our profile. Then we went through at least 3 more rounds of editing the text and switching up pictures and backgrounds. After so many weeks and emails and drafts I was worn down and ready to sign off on anything, and gave the final approval. I couldn't read our story one more time, lol. But the our editor decided to make a few more tweaks, and it turned out pretty good. So early last week we agreed to the final final profile, and some time last week it was put up on our facilitator's website. Today I sent checks for our facilitators fee and the printing of our profile booklets. Long story short, after a little more work and time than anticipated, as of todayish we are officially approved and waiting to be matched. Its seems like it should feel like a big milestone, but it feels...anticlimactic? It could be that it just hasn't sunk in yet that it looks like we're actually officially on the road to becoming parents. Our facilitator assures us its really only a matter of time. Then again, maybe its the fact that there's probably a good amount of time from here to us being parents that makes it feel so anticlimactic? I don't mind it though, I'll take anticlimactic over a roller coaster any day. Things have definitely been more calm than when we were in medical treatment. I haven't had a big emotional breakdown for a few months now, and its been nice to be mostly even keeled on the emotions front. The little set back and delays aren't driving me crazy either. Don't get me wrong, they definitely bug me, but I'm not going into an anxious tailspin over them like I would over a set back in treatment. I really feel a sense of peace covering the process so far, and it feels like an indicator that we're on the right path, finally. Now I just have to keep that same attitude for the next 6 -12 months.... Shouldn't be a problem at all, right?